Most of us are rockin’ around the Christmas tree in our hometowns — looking out the same old window with the same old snow, waiting for Santa to come with his reindeer in frigid weather just to eat our cookies and drink our milk. I don’t know about you but I’d rather use my milk money for something new. Below are the top unique holiday destinations to ring in your New Year right! 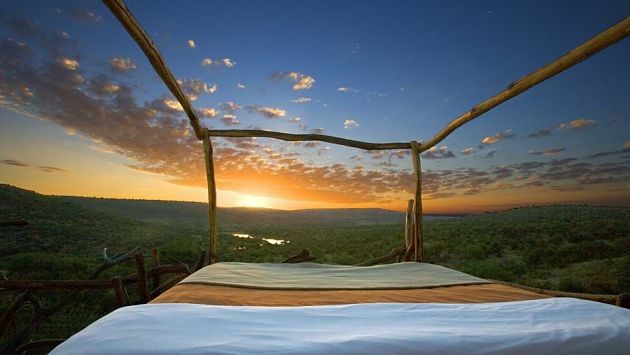 If you love the wilderness and only dreamed of lying in a bed full of stars, you’ll want to head straight to Loisaba Star Beds, which sits over the Ewsao N’giro river. Don’t worry about bugs, it’s sheltered. 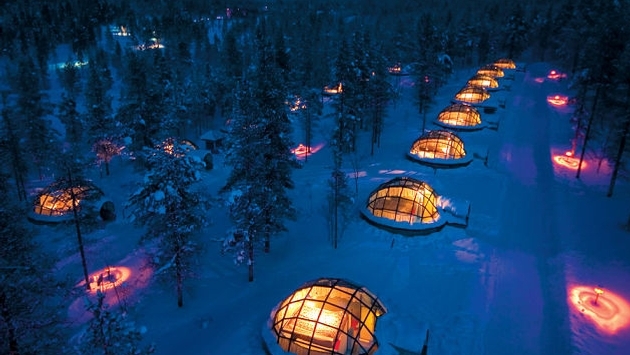 If you’re looking for a one-of-a-kind winter wonderland, look no further than Kakslauttanen Artic Resort in Finland where you can curl up in your own glass igloo, mesmerized by the Northern Lights. For an eco-friendly experience, wake up to incredible alpine views in the Swiss Alps thanks to a cozy pod in Valais, Switzerland. On top of the unique accommodation, you have access to seven km of ski slopes with private ski lifts, skis, boots and poles, Snowscoots with helmets and sleds. If time is on your side, head over to Gadmen, Switzerland to walk across the Trift Suspension Bridge: a 328 feet high and 557 feet long pedestrian-only suspension bridge which is the longest in the world. Although cold is an understatement, the memory will stay warm in your heart for years to come. If you’re looking for the ultimate winter rush, head to a place far off the beaten path and full of natural beauty. 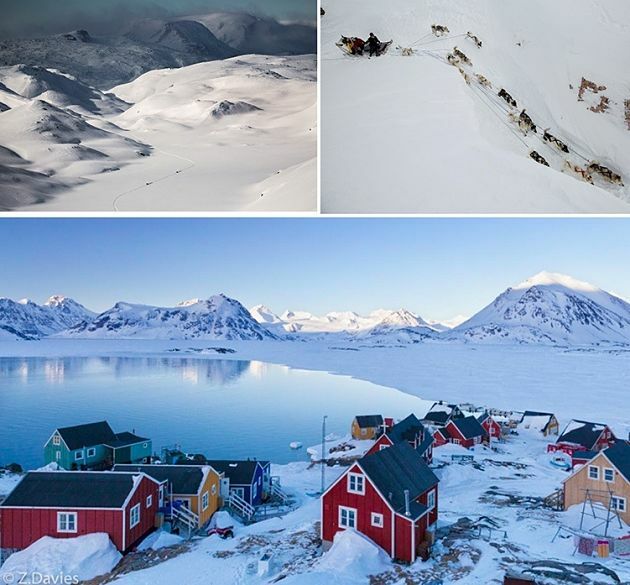 Greenland has some of the best dog sledding in the world along with landscapes that will leave you in awe — and its no surprise why. With no scuba certification needed, spend your holiday season with one hell of a rush. Off the Baja Peninsula, you can swim with great white sharks in a shark-proof diving cage. If you’re looking for a destination that really knows how to give you the best of everything without the hefty price tag, you’ll want to book the next flight over to Portugal. From the diverse landscapes to mouthwatering meals, you won’t be disappointed. Sea, sun and sand makes the south of Portugal world renowned and as you make your way further north you will be taken back to fairytale castles in Sintra, cobblestoned streets and butter tarts in Lisbon followed by the picturesque UNESCO World Heritage site of Porto where you can spend your days drinking and celebrating each day of your holiday. If you want budget friendly, India is the best bang for your buck. The winter months of December and January are the best times to visit the South. From unique house boating through “Little Venice” in Kerala, rock climbing in the real life version of ‘The Flintstones” in Hampi or soaking up the sun and getting your trance on in Goa — your money will stretch as far as your experiences.